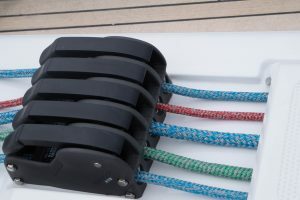 ARGUS answers the performance yachtsman’s need for a lightweight durable rope. 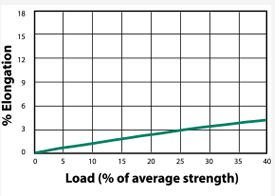 Argus makes perfect running rigging with minimal elongation at an affordable price. 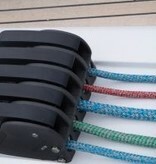 Developed by sailboat racers, this remarkable hybrid rope product blends UHMPE Spectraâ„¢ fibers with low weight MFP in the rope core. Argus adds a color matched urethane coating to the core for added UV and abrasion protection. The cover is made with our durable marine finish polyester yarn in blended modern color combinations. Argus has excellent hand which grips well in rope clutches and jam cleats, while resisting abrasion and elongation. The bold new appearance gives the look and feel of exotic Grand Prix racing cordage. Sold at an appealing price to the club level racer or performance cruiser. Available in Solid White, or in Red/Silver, Green/Silver, Black/Silver and Blue/Silver color combinations. Spectraâ„¢ is a trademark of Honeywell.